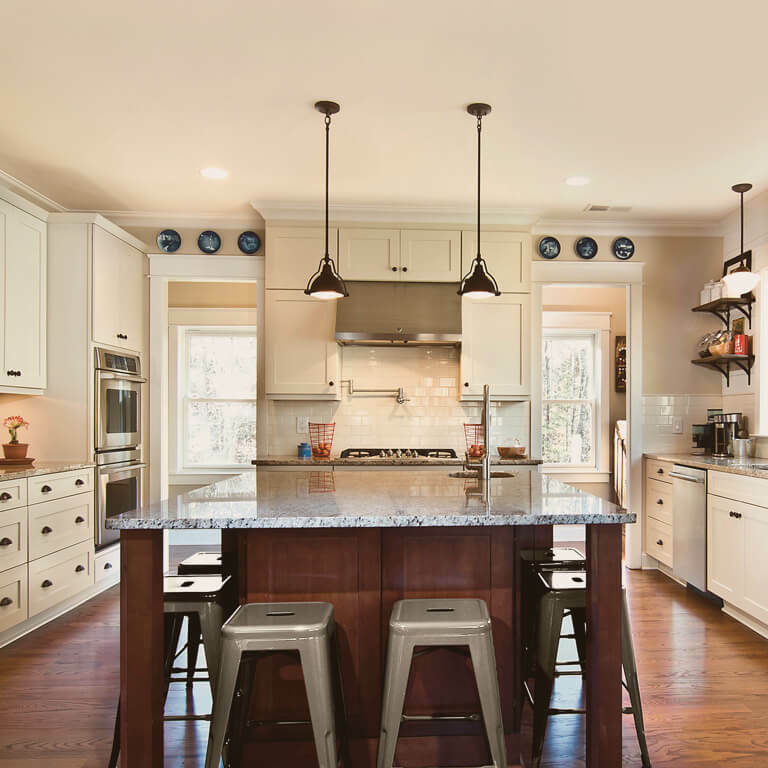 At Marsh Kitchen & Bath, we offer a vast line of custom cabinet solutions including functional storage options and decorative accessories to make your dream kitchen a reality. 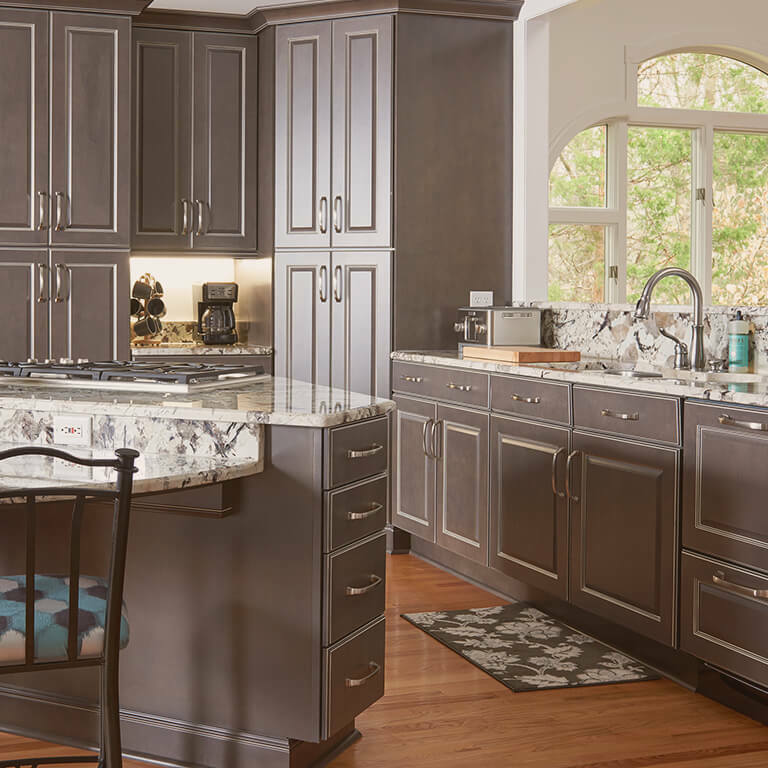 Marsh kitchen cabinets are delivered factory-direct and include semi-custom options that ensure your kitchen design is one-of-a-kind and tailored to fit your style. Products such as lazy Susans, blind corner pullouts, and waste basket pullouts make your experience in the kitchen more enjoyable. They maximize your space and make your kitchen work harder for you. We also offer a number of additions that will truly set your kitchen design apart. 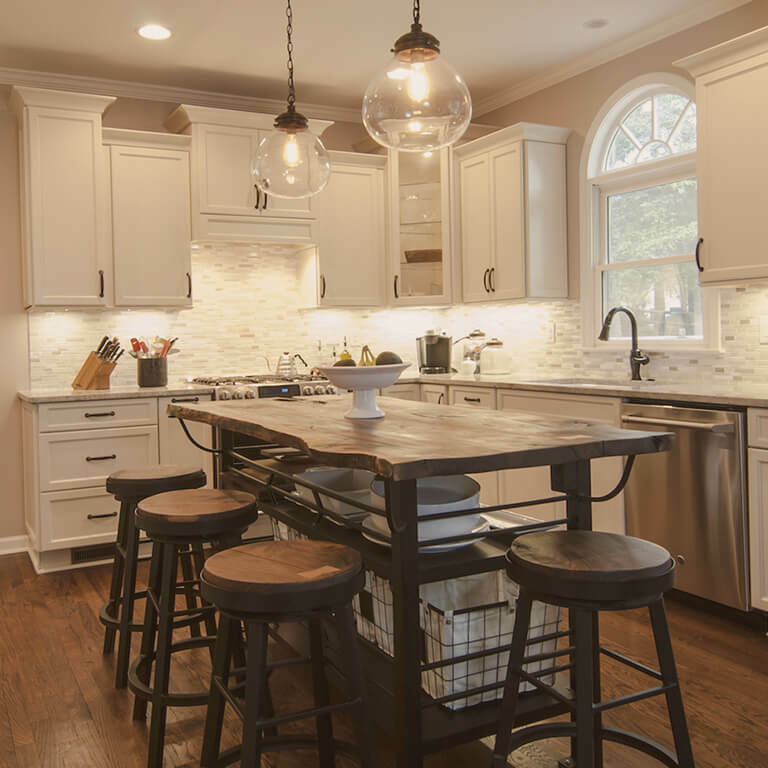 From spice racks and cutlery trays to decorative hoods and even wine racks, the cabinetry you choose will make your kitchen an extension of you. In case you need an added touch of your personality, we also offer customization. Our history of quality craftsmanship and woodworking is continued today in order to bring you even the smallest details needed to complete your kitchen renovation and design. Contact us or visit one of our five North Carolina locations to learn more. At Marsh Kitchen & Bath, we offer Marsh Cabinets and StarMark Cabinetry. Both of these brands have made their mark in the industry by providing products that meet the highest quality standards. Marsh and StarMark are 100% American-made and certified by the Environmental Stewardship Program, guaranteeing environmentally responsible practice at every step of the manufacturing process. Marsh and StarMark each carry a virtually endless selection of door styles, finishes, and glazes. With a variety of options, these brands also span a wide range of budgets. Our cabinet offering ensures that we have something for every taste and budget. For more specific projects, we offer additional product customization. As semi-custom brands, Marsh Cabinets and StarMark Cabinetry leave room for you to further personalize the heart of your home. Today, we embarked upon another project in concert with Marsh Kitchens. Marsh provides quality products that are locally manufactured, access to a custom shop that will fulfill the desires of most clients, and excellent support. Their installers, Richard and Jeremy, are true craftsmen who are thoughtful, considerate, and delightful to work with. For these reasons alone, we enthusiastically give Marsh our highest recommendation.